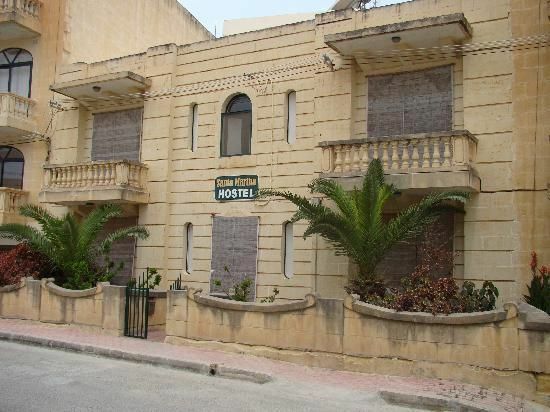 Santa Martha is a charming family run hostel at Marsalforn, the main tourist resort of Gozo. It is only five minutes' walk from the beach and the main promenade of the resort where there are plenty of bars and restaurants, tourist information, car-bike hire, internet cafe, several diving schools and more. The hostel nestles between a front and a back garden. An atrium in the middle of the building provides natural light to the rooms. We offer single, double, triple and family rooms. 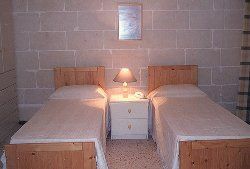 The rates are 16 euros per person per night. This price includes breakfast. There is also a small kitchen where guests can prepare their own meals free of charge. There is no curfew. Check in: 24 hours. Just let us know when you are arriving Check-out: :11:00 AM There is free Wifi. From the airport take the X1 bus direct for the Gozo ferry. Board the ferry. When you reach Gozo take the bus to Victoria. It will be waiting at the port. From Victoria bus station take another bus to Marsalforn. When in Marsalforn, go down at BARDA stage. It is only one minute walk from the hostel. We have a small front garden with palm trees.